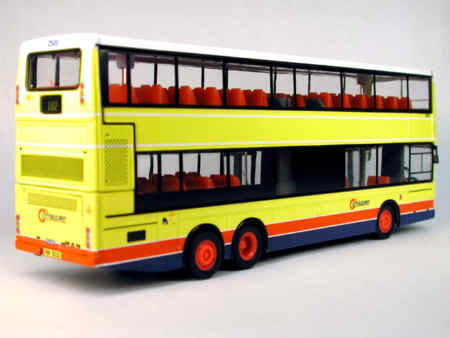 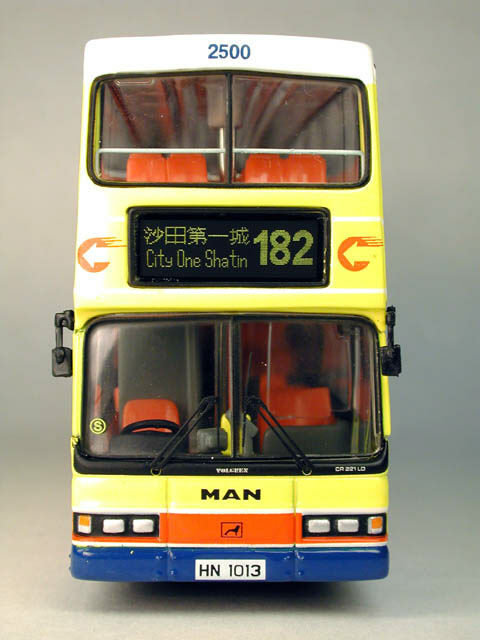 The model - this new casting was first unveiled in August 2000, at the Hong Kong Bus Exhibition, organised by 80M Bus Model Shop. It was eventually released, in Hong Kong, in April 2001. 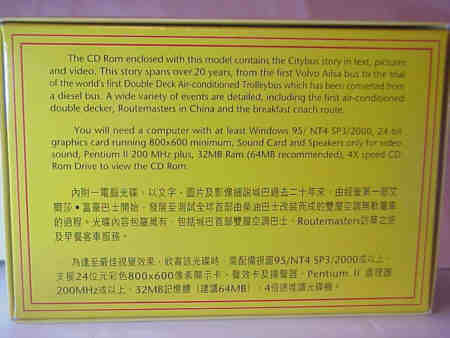 This Hong Kong only release came with a CD, which is bi-lingual, and is a very comprehensive piece of work. 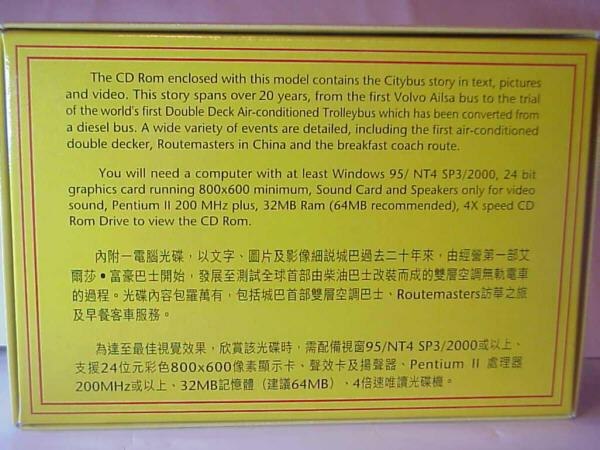 Most of the major events in the history of Citybus are covered, how it started, going to China, air-con buses, the breakfast route, Routemasters in China, franchised buses, airport, etc etc. Information on fleet purchasing policies and fleet livery are included, along with video clips of buses to the airport, Stanley and Kennedy Town. 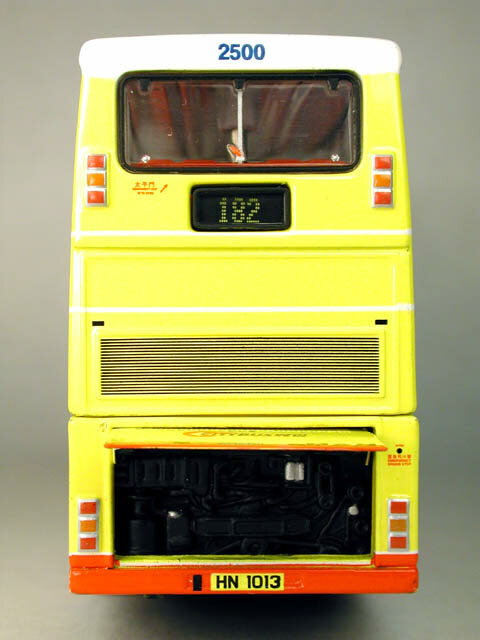 The UK version (OM45402) comes in standard OOC packaging and without the CD. 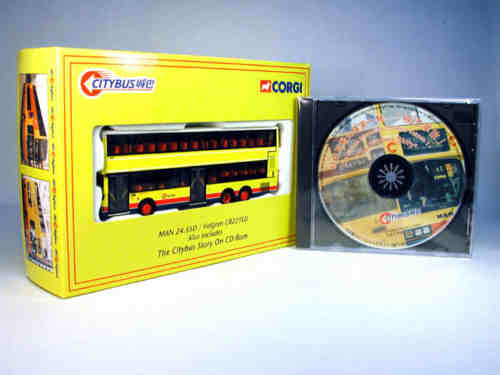 of this set which contains the CD, all having been released in Hong Kong. The remaining 1,500 were released in the UK, as OM45402, without the CD.